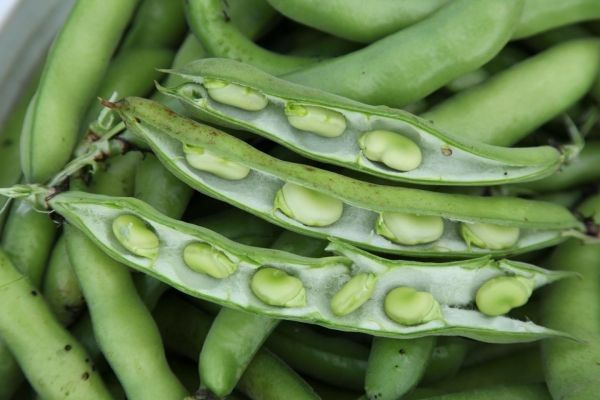 Faba is a legume, as are peas, beans, and lentils. They are a good source of protein. They also bring an important benefit to agriculture: they are nitrogen fixers. These plants, working with bacteria in the soil, take nitrogen from the atmosphere. The decomposing plants then add nitrogen to the soil. Faba is known to be one of the most powerful nitrogen fixers. Nitrogen is a vital nutrient for plants’ growth. Farmers who grow sweet corn typically add nitrogen in the form of commercial fertilizer for best yield.